Take a look at my other similar plugin called WeaponsPlus! Please post your problems in the discussion area before writing a bad review. Most problems are caused by your own mistakes and when there's a feature missing, you can suggest it and I will add it to the plugin. ArmorPlus is a plugin that adds a bunch of new armor sets and tool sets. All of these armor and tools have unique and fun abilities. The plugin is very customizable and you can disable every armor set and tool in the configuration. This plugin was intended to be used on Survival and PvP servers, but can be used on any server that has interest in any of the features. The plugin comes with permissions, so you can use features of the plugins as rank perks! Certain armor abilities have sounds and effects since version 1.3.7! Emerald Armor, this armor set is diamond armor with very strong enchantments. It gives a great use for all those useless emeralds you've got laying around! Levithian Armor, this is a special armor designed for fast transport. If you have the full set, you're able to double jump! Fall damage is also reduced. *new* optional cooldown! Set it in the config! Ender Armor, this armor gives you the ability to teleport like an enderman using arrows! Just shoot an arrow while wearing the full set and you'll teleport wherever it lands. *new* optional cooldown! Set it in the config! Power Armor, this armor makes you really buffy. It multiplies the amount of damage you deal by a number which can be set in the config. The default value of 1.2 means that you'll do 1.2 times more damage as normal! Fiery Armor, this armor is hot stuff! It allows you to swim through lava and walk through fire without taking any damage! Perfect for a vacation in the nether! Porkchop Armor, this armor will refill your hunger bar when it gets low! You can configure how much damage the armor will take when this happens and when the hunger should refill! Hop Armor, if you sneak with this armor you'll get launched into the air! You can configure how high the launch is! *new* optional cooldown! Set it in the config! Pace Armor, if you right click with sugar while wearing this armor, you'll get a speed boost! A cooldown can be set in the config and the time and modifier of the effect can also be set in the config! Obsidian Armor, if you right click with a fire charge while wearing this armor, you'll get resistance! A cooldown can be set in the config and the time and modifier of the effect can also be set in the config! Haste Armor, if you break a block with this armor, you'll get a haste boost meaning that you'll be able to mine other blocks quicker! Make sure to keep mining becuase the haste effect only lasts for a second or two! Configurable options. *NEW* Shield Armor, if you right click with a golden nugget while wearing this armor, you'll get additional hearts! (Absorption) You can set an optional cooldown in the config and you can also choose the duration and amount for the effect in the config! *NEW* Tnt Armor, if a mob hits you while wearing this armor an explosion will fire! You are immune to any type of explosion while wearing the armor and there's a cooldown between each explosion. You can set the explosion intensity in the config! Emerald Sword: This is a basic diamond sword (which can be enchanted). However, if you try blocking your sword, you'll get knocked back! This is extremely useful in pvp fights or mob fights in which you need a quick escape! The knockback modifier can be set in the config! *new*: Has a configurable cooldown! Emerald Axe: This automatically converts the logs you chop into planks! It supports all the different wood types and data values! Emerald Pickaxe: This special pickaxe breaks not only the mined block, but also every block around it! Useful for clearing big areas or mining efficiently! Emerald Shovel: This special pickaxe also breaks all the adjacent blocks! Levithian Sword: This fine sword sets players on fire and slices through them like butter! Levithian Axe: This axe automatically turns all the mined logs into charcoal! No need to go mining or waste fuel anymore! Levithian Pickaxe: This pickaxe autosmelts certain blocks: More below! Levithian Shovel: This shovel autosmelts certain blocks: More below! Iron Bow: This bow shoots arrows much further and faster than regular arrows! You can set the factor in the config! tl;dr: Use armorplus.ARMOR for the USE permission and armorplus.ARMOR.craft for the CRAFT permission. The config allows you to enable/disable the recipes and features and it also allows you to modify certain features! As of version 1.7.2 you can now change the names of all the tools and armor! PLEASE NOTE THAT BY CHANGING NAMES, OLD TOOLS WILL NO LONGER WORK! As of version 1.7.3 you can now change the lore and armor material, this will still allow old armors to work! As of version 1.8 you can now add multiple lines of lore, take a look at the default config for examples. 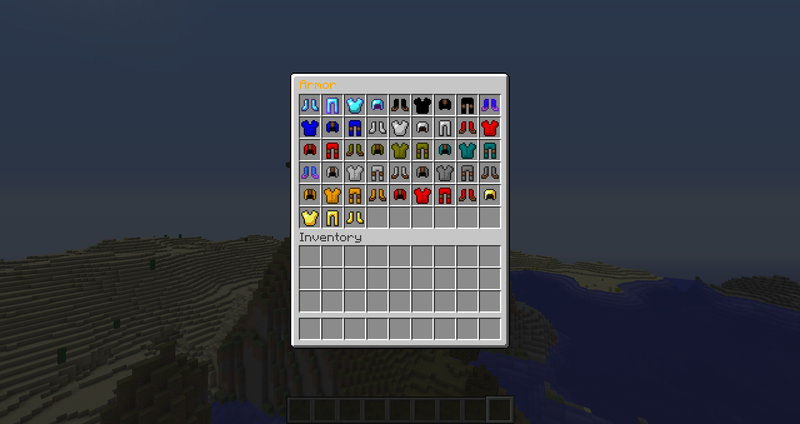 As of version 1.11 you can now specify which color you want the leather armor to be. The color is in RGB values (Red, Green, Blue). Important: As of version 1.9, the config layout has been changed. Older configs will not work with the newer versions! To fix this you simply delete the old config and restart the server (with the new version of ArmorPlus installed). # This is the config file for ArmorPlus, you can change which recipes and features you want to enable. # You can also modify the power modifier, the double-jump modifier, the knockback modifier and amount of planks dropped here. And more! # IMPORTANT: Changing amror and tool names will make it so that old armor and tools can no longer be used! # Changing the lore of items or the material will not override old items, meaning that old armor will still work! The plugin comes with optional WorldGuard support! If you have WorldGuard installed, players will not be able to use the tools inside the WorldGuard region. Their tools will not be able to reach protected regions either. You must use WorldGuard 6.x for this to work! Since version 1.9.3 GriefPrevention is supported as well! ArmorPlus will automatically detect GriefPrevention if it's installed and players are not able to use tools inside the regions. Since version 1.5.0 mcMMO is supported! You can enable or disable mcMMO support in the config. If mcMMO isn't installed, it will automatically turn mcMMO support to false. The plugin is built on mcMMO version 1.5.01-SNAPSHOT and it will NOT work with older versions of mcMMO. And the shovels will gain the player Excavation XP. The amount of XP can be configured in the config. If any of these plugins are installed, the plugin will make sure tools will be logged. Please report any bugs with the untested plugins. I was unable to test them due to not having a MySQL database available! Since version 1.7.0, factions and towny are supported. You just have to have them installed for the plugin to register it. Please note that factions is UNTESTED but it should work fine. If you have any issues, please make sure to tell me so I can fix them asap. 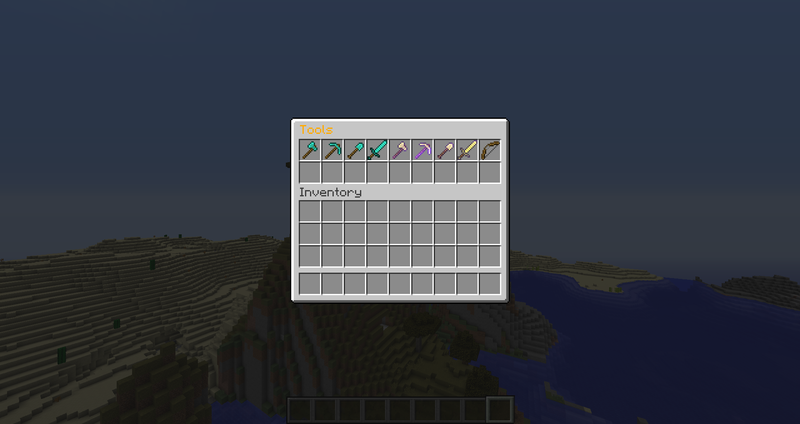 Since version 1.7.0, you can choose to disable tools or armor in specified worlds. You can set which worlds to disable tools or armor in in the config. Please give me suggestions I can add almost anything you want! If you need any help installing or are having any issues, don't hesitate to send me a message! Please note that all of these items are not "custom textured" items. They are items that are in the game which the plugin recognizes and adds custom features to them! AkenBii, MaxvellBitch và Kempit thích điều này. Premium Plugins Micro Battles - PVP MINIGAME // Multiarena - 25% OFF until 50 buyers!